Fulbright Science and Innovation Graduate Awards for New Zealand Citizens in USA, 2018 - Applications are invited for Fulbright Science and Innovation Graduate Awards to undertake postgraduate study or research at US institutions in fields related to science and innovation. Fulbright New Zealand Graduate Awards can be used towards a Masters or PhD programme, or grantees can participate as a Visiting Student Researcher (VSR). A VSR allows grantees to spend between 6-12 months studying or researching a topic or proposed project in the US, usually as part of a degree programme in New Zealand. Fulbright New Zealand offers a range of exchange awards for New Zealanders and Americans wanting to study, research, teach or present their work in each other's country. The Fulbright programme of international educational exchange was an initiative of American Senator J. William Fulbright from Arkansas, who in the aftermath of World War II believed that mutual understanding between different countries and cultures was crucial to ensure a peaceful future for the world. Course Level: Awards are available to pursue postgraduate study programme. Study Subject: Awards are available in fields related to science and innovation. The awards are available in fields of science and innovation targeted to support New Zealand's economic, social, environmental and cultural needs, and to build international science connections. This includes, but it is not limited to, science research of the highest quality; areas with relevance to current and emerging New Zealand industry, social and environmental needs; areas with potential to broaden the economy and increase connections between research and industries; sectors of future need or growth; areas supporting Vision Matauranga- unlocking the science and innovation potential of M?ori knowledge, resources and people. Scholarship Award: Approximately eight awards are granted annually, valued at up to US$40,000 (plus NZ$4,000 travel funding) for up to one year of study or research in the US. Students undertaking multi-year Masters or PhD degrees have the opportunity to apply for additional funding of up to US$30,000 towards their second year of study. Nationality: This scholarship is available for New Zealand citizens. Number of Scholarships: Approximately eight awards are granted annually. Eligible Countries: This scholarship is available for New Zealand citizens. Have achieved 480 points, which must include a completed undergraduate degree. 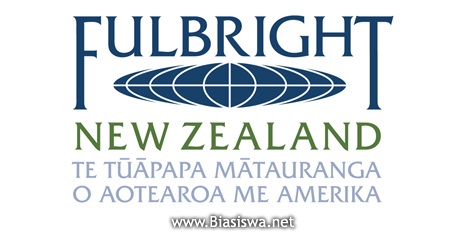 Fulbright New Zealand will also accept applications from candidates who were granted direct entry into the second year of a degree programme, therefore completing a 480-point degree with 360 points. Preference for Fulbright graduate awards is given to candidates who have not previously received a Fulbright graduate award, or had extensive recent experience in the US (ie. have not studied, taught, researched or worked in the US for a period aggregating more than nine months/one academic year during the past five years). Candidates may not pursue study or research activities that involve direct clinical patient contact. This can extend to the fields of Medical Sciences, Veterinary Medicine, Nursing, Dentistry, Psychological Counselling or any other field that requires direct clinical patient contact and/or prescribing or administering medication. Candidates with medical degrees may receive awards for advanced academic study, but not for internships or residencies. Awards shall not authorise activity for which a license to practice medicine or nursing is required. Application Procedure: To apply for this award, click the link below and create a login account to begin. We will advise you of the outcome of your application in early October. * Note that if the application deadline falls on a weekend or public holiday, the deadline is extended to 5:00 pm on the next business day. You should begin researching US institutions as soon as possible while awaiting the outcome of your application, bearing in mind that the closing date for applications to many institutions will fall in December. You should also plan to sit GMAT or GRE tests as required by the institutions you intend applying to. Ideally, you should sit the tests in time to include results with your applications (note that for paper-based GRE tests this means sitting the tests by October at latest).